Некоторое время назад я посмотрела бразильский сериал "Спаси меня Святой Георгий" и очень заинтересовалась этим необыкновенным местом- Каппадокия. Я мечтала попасть туда и моя мечта претворилась в жизнь! Я совершила замечательный тур, через Молдову, Болгарию в Турцию и обратно через Румынию в Украину. И я с удовольствием поделюсь с Вами своими заметками и фотографиями. Some time ago I watched the Brazilian TV series "Save me Saint George" and was very interested in this extraordinary place - Cappadocia. I dreamed of getting there and my dream came true! I made a wonderful tour, through Moldova, Bulgaria to Turkey and back through Romania to Ukraine. And I will gladly share with you my notes and photos. First place was Golden Sands (Bulgarian: Златни пясъци, Zlatni pyasatsi) is a major seaside resort town on the northern Bulgarian Black Sea Coast, adjacent to a national park of the same name in the municipality of Varna. Located 17 km north of downtown Varna, it is virtually connected to the city by a continuous swath of resorts and villa communities. It is a popular tourist destination, drawing many visitors from Romania, Ukraine, Poland, Germany, the United Kingdom, Russia, Scandinavia, France, Central and Eastern Europe, the Persian Gulf, Israel, and other countries. While the Mfecane was taking place in what is now KwaZulu-Natal and in the interior, the white Afrikaners were getting fed up with living under British rule in the Cape. 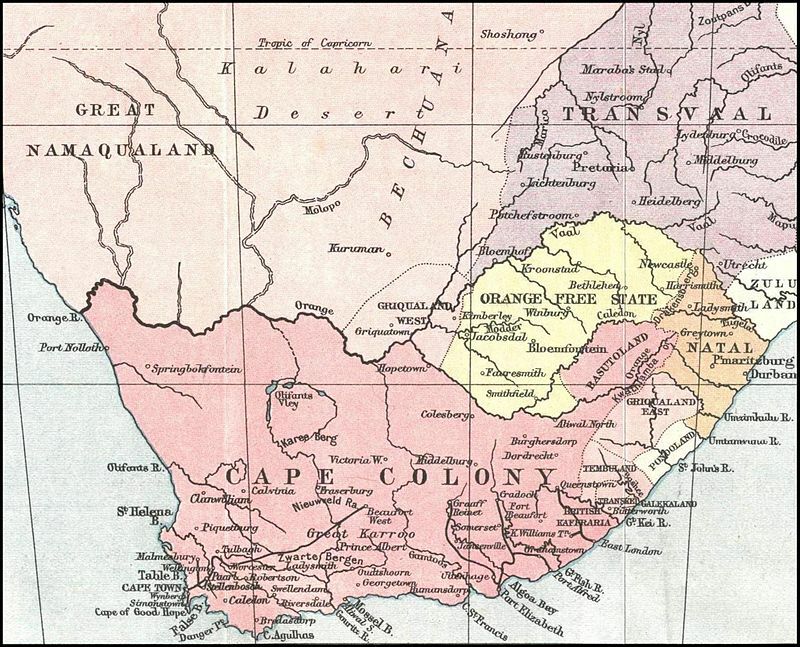 Many of the Boers, or Afrikaners, had settled as farmers on the outskirts of the colony. These were the so-called Trek Boers and they complained that British did not protect them from marauding, cattle-rustling black youths, although they were not above cattle rustling themselves. A seminal event was when a British Magistrate sentenced five young Boers to be hanged for resorting to violence when protecting one of their kind who resisted arrest for mistreating a Khoi labourer. At the public hanging the leather ropes used to hang them together broke and after the Boers called for mercy they were hanged one by one in front of an angry crowd. The place where it happened went down in Afrikaner folklore as 'Slagter's Nek'. 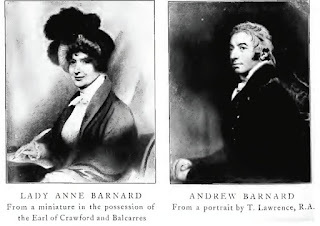 One of the final straws in their disillusionment with British rule was that they were not properly compensated for their slaves, like other British subjects were, when slavery was abolished in British colonies in 1834. To put this into historical context, it was only during the 1860s, after the Civil War, that slavery was abolished in the American Deep South. So in 1836, the Afrikaner Trek Boers loaded up ox wagons, gathered their families and livestock, and undertook one of the greatest human migration in the history, Great Trek, into the hinterlands of South Africa. 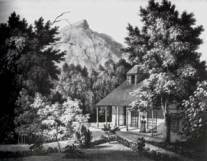 Up to 4,000 Trekker families made a journey, which was the equalent of one in five Afrikaners in the Cape Colony at the time. They became known as the Voortrekkers, which means "pioneers' in Afrikans. Along the way, they had to deal with brutal terrain, harsh climate, dangerous animals and hostile black groups many of whom had never seen Europeans before. One can only be awe of the risks the Voortrekkers took in search of freedom and to protect their Calvinistic way of life. I have often wondered whether the expression "Africa is nott sissies" emanates from this time in South Africa's history. There were two groups of trekkers who squabbled about where to go. The first group, under Piet Retief went north and crossed over the Drakensberg Mountains into Natal and trekked as far as Port Natal , now Durban, on the coast. A splinter group, under Louis Trichardt, went as far as Lourenco Marques(now Maputo) in Mozambique before being evacuated by sea when the locals confronted them. 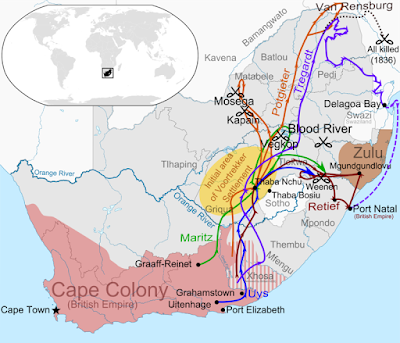 While they had escaped the British by crossing the boundaries of the Cape Colony, The British Colonial Gouvernment still viewed the Voortrekkers as British subjects who were rebelling against them and feared that rebels would dominate the north-eastern region of South Africa and provide their Europeam adversaries with access to the sea. So they sent a small contingent of officials to Port Natal over the Boers, even though it didn't fall under their jurisdiction. The second group of Voortrekkers under Hendrik Potgieter, who did not want to go near the sea because 'where the sea, there will be Englishmen', went into the interrior. The British did not care as much about the Boers in interior, as they didn't attach much value to the land there. 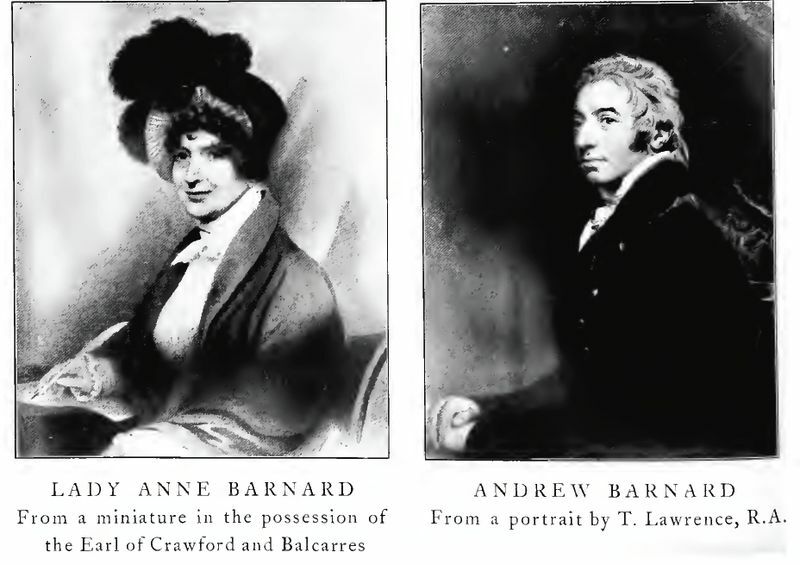 This, of course, all changed later in the century with diswcovery of diamonds and gold. When the Voortrakkers arrived they encountered a wasteland devastated by the Mfecane. What was left of the local Sotho-Tswana groups sought Boer's protection from the marauding warrios of Mzilikazi, few of whom had ever seen Europeans before and were suspicious of these strange people with their ox wagons and guns. The inevitable clash came when Mzilikazi attacked the Boers in the Battle of Vegkop, one of the seminal battles in South African history. Ironically, it was an 'away game' for both sides, Mzilikazi from the east coast and the Boers from the Cape, fighting for the territory in the interior! A twelve-year-old boy, who by then had already shot his first lion, helped load the muskets of the Boers and would play a huge role in the history of the country. 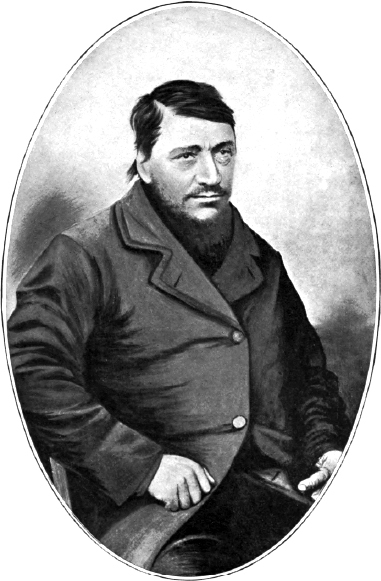 He was Paul Kruger who became a legendary Boer leader and after whom the Kruger National Park was named. 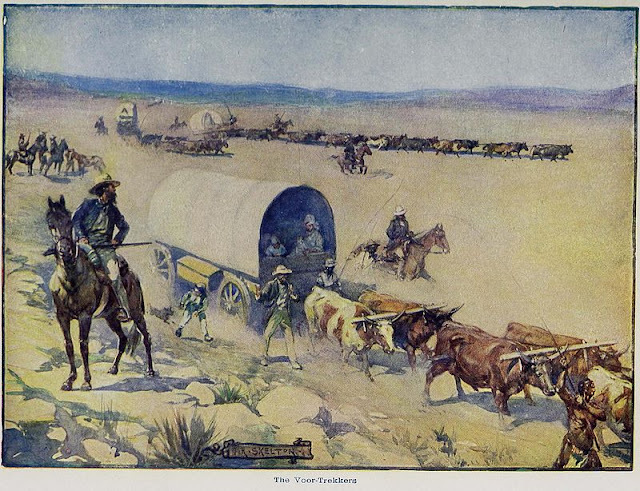 In spite of winning the battle, the Boers lost all their cattle and it was only after the local Baroleng clan helped them with oxen that they were able to pull their wagons to safety. The Boers then hunted down Mzilikazi's army and defeated them in the nine-day battle of Kapain and he fled north to establish the Kingdom of Matabeleland in Zimbabwe. 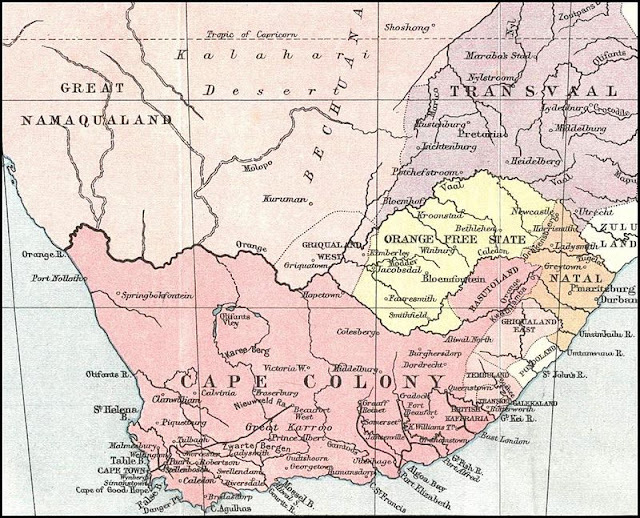 The Boers demarshed the two territories of the land they conquered and called them The Free State and The South African Republic (later known as The Transvaal) to stand alonside the black nations much like Zululand, Swaziland, Basutuland (later Lesoto) and Bechuanaland (later Botswana). The Boer Republic were ruled by a democratically elected Volksraad in which only Boers could participate, while the Black Nations were ruled by monarch or chief who had absolute pover. The two Boers Republics were recognized by Britain (and internationaly) as independent republics by the signing of the Sand River Convention, witnessed by the young Paul Kruger, in 1852 and 1854 respectively. While the Boers were deeply attached to their farms, they were not only in almost constant conflict with neighbourig black groups, but also fought amongst each other. At one stage there was an actual civil war between two factions of the Boers. Both republics did not allow the black people an equal say in the government of the land that they believed they had fought for conquered. 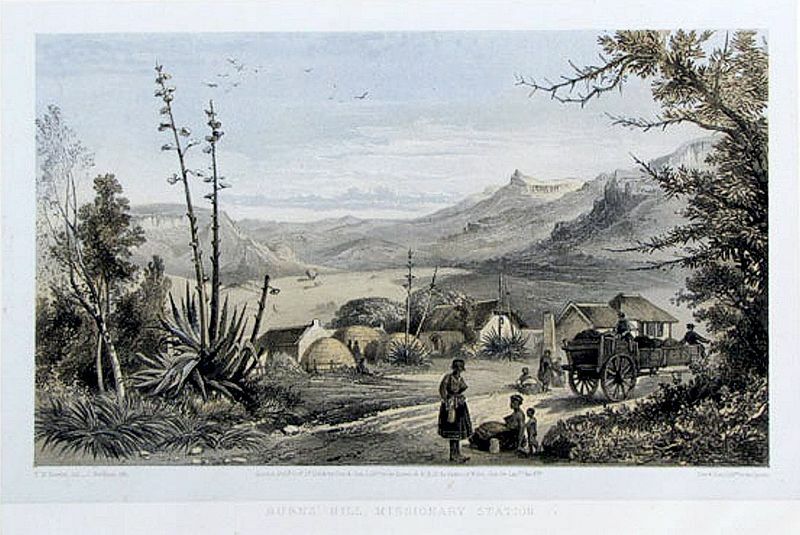 The area was sparsely populated especially in the interior after the Mfecane and befor the discovery of gold and diamonds (the population of the whole of south Africa at the time was only about 5% of what it is now), so there was not enough space for all the groups to live in peace and maintain their cultures and pastoral way of life post Mfecane. However the more conversative elements of the Boers were deeply religious and justified their treatment of Black people with a verse from Jeshua 9 in the Bible's Old Testament where it says that they should be the 'hewers of wood and drawers of water' which defined their relationship with black people. The British believed they were a superior race, sent to Africa to educate and civilise, while the Boers considered themselves the masters of the black people. The scene was set for more conflict. Пока Mfecane происходило на месте где сегодня расположена провинция Квазулу-Натал и в глубине , африканерам надоело жить под британским владычеством на мысе. Многие буры, или африканеры, поселились как фермеры на окраине колонии. Это были так называемые «Фуртрекеры» и они жаловались на то, что англичане не защищают их от мародерства со стороны чернокожих молодых людей, хотя они ростом были не были выше скота. Существенным событием стало то, что британский магистрат приговорил пятерых молодых буров к повешению за применение насилия, когда они стали защищать одного из них, который сопротивлялся аресту за плохое обращение с работником племени Кхои- Кхои. Во время публичной казни порвались кожаные веревки, и после того, как буры вызвали к себе милосердие, их повесили поодиночке перед рассерженной толпой. Место, где это произошло, вошло в фольклор африканеров как «Слейтер-Нек». Одним из последних вех в их разочаровании в британском правлении произошла тогда, когда им должным образом не вернули средства портаченые на покупку рабов, как же как и другим британским подданным, когда рабство было отменено в британских колониях в 1834 году. В историческом контексте. Отмена рабства в Америке произошло только в 1860-е годы, после Гражданской войны. Так, в 1836 году фуртрекеры загрузили повозки запряженные волами, собрали свои семьи и домашний скот и совершили одну из величайших человеческих миграций в истории - Великий Поход во внутренние районы Южной Африки. До 4000 семей совершили это путешествие, их численность была равна одной пятой от всего количества африканеров в Капской колонии в то время. Они стали известны как фуртрекеры, что означает «пионеры» на языке Африканс. По пути им приходилось иметь дело с сложной местностью, суровым климатом, опасными животными и враждебными группами аборигенов, многие из которых никогда раньше не видели европейцев. Они очень рисковали и преодолели множество препятствий на своем пути в поисках свободы и защиты своего кальвинистского образа жизни. Я часто задавался вопросом, существует ли в истории Южной Африки выражение «Африканер - не бабник». Были две группы фуртреккеров, которые ссорились между собой в вопросе куда идти. Первая группа, под предводительством Пита Ретифа, отправилась на север и пересекла Дракенсбергские горы попав в Натал, они прошли до Порт-Натал, ныне Дурбан, попав прямо на побережье. Отколовшаяся группа под руководством Луи Тричардта дошла до Лаурен Маркиза (ныне Мапуту) в Мозамбике, прежде чем им пришлось эвакуироваться морем, после того как местные жители столкнулись с ними. В то время как они избежали владычества британцев, пересекая границы Капской колонии, Британский колониальный губернатор все еще рассматривал их в качестве британских подданных, которые восстали против них и опасались, что мятежники будут доминировать в северо-восточном регионе Южной Африки и подставлять их европейским противникам имея выход к морю. Поэтому они отправили небольшой контингент чиновников в Порт-Наталь всед за бурами, хотя они вовсе не подпадали под их юрисдикцию. Вторая группа фуртрекерцев под руководством Хендрика Потгитера, не захотели идти к морю, потому что там «где море, там будут англичане», они пошли вовнутрь страны. Англичанам было все равно, что буры где далеко будут жить буры, потому что они не придавали большого значения тем территориям. Все конечно изменилось коренным образом позжеб когда были обнаружены запасы бриллиантов и золота. Когда фуртрекеры прибыли на место, они столкнулись с пустыней, опустошенной войнами Mfecane. То, что осталось от местных сото-тсванских групп, искали у Буров от мародерствующих воинов Мзиликази, но мало кто из них когда-либо видел европейцев раньше и они с большим подозрением относились к этим странным людям с их быками и пистолетами. Неизбежное столкновение произошло, когда Mzilikazi напали на буров в битве при Vegkop, это было одно из самых ярких сражений в истории Южной Африки. По иронии судьбы, это была «игра на вылет» для обеих сторон, Mzilikazi с восточного побережья и буры со стороны мыса, сражающиеся за территорию в своиз землях! Двенадцатилетний мальчик, который к тому времени уже застрелил своего первого льва, помогал заряжать мушкеты буров и именно он сыграл огромную роль в истории страны. Это был Пол Крюгер, который стал легендарным лидером Буров и его именем был назван Национальный парк Крюгера. Несмотря на победу в битве, буры потеряли весь свой скот и только после того, как местный клан Баролинга помог им с быками, они смогли вытащить свои повозки в безопасное место. Позже буры выследили армию Mzilikazi и победили их в девятидневной битве при Капаин, поле чего враг бежал на север, чтобы основать Королевство Матабелеланд в Зимбабве. Буры заняли две территории земли и назвали их Свободное государство и Южно-Африканская Республика (позже ставшую Трансвааль) чтобы быть наравне с такими черными нациями, как Зулуланд, Свазиленд, Басутуленд (позднее Лесото) и Бечуаналенд (позднее Ботсвана). Бурской республикой управляло демократически избранное народное правительство, в котором могли участвовать только буры, в то время как нациями чернокожих управлял монарх или начальник, который имел абсолютную власть. Две Бурские республики были признаны Великобританией ( так же на международном уровне) в качестве независимых республик, подписав Конвенцию Песчаной реке, свидетелем которой был молодой Пол Крюгер, в 1852 и 1854 годах. Хотя буры были глубоко привязаны к своим фермам, они не только находились в постоянном конфликте с соседними черными группами, но и сражались друг с другом. На одном этапе между двумя фракциями буров произошла настоящая гражданская война. из буров были глубоко религиозными и оправдывали свое отношение к черным людям стихом из Иешуа 9 в Ветхом Завете Библии, в котором говорится, что они должны быть «орудиями древа и воды», которые определяют их взаимоотношения с черными людьми. Англичане полагали, что они были высшей расой, отправленной в Африку, чтобы воспитывать и нести цивилизацию, в то время как буры считали себя хозяевами черных людей. Обстановка была напряженной и вот вот должен был возникнуть конфликт. As the Zulu army rampaged the eastern parts of the country, people scattered in all directions with the Zulu army in hot pursuit, hence another term for Mfecane being 'the Scattering'. 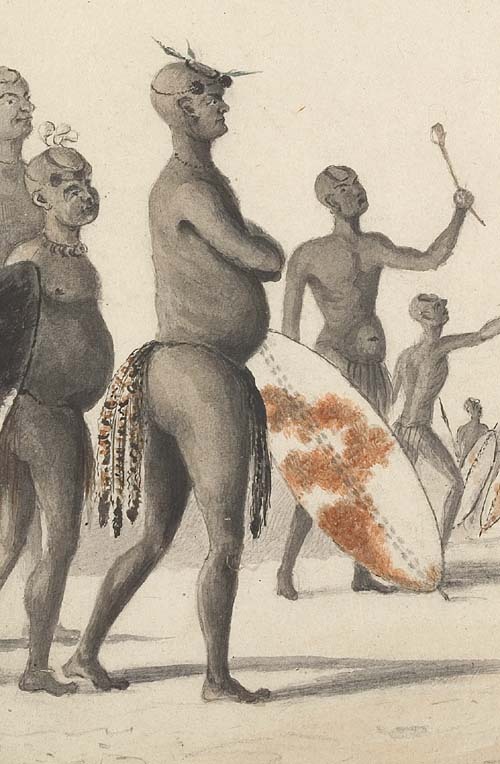 The remnants of the once dominant Nguni clan, the Ndwandwe, which had been defeated by Shaka, fled north. Their feared leader Shoshangane, created the vast Nguni-Gaza Kingdom that he ruled for 37years, in which slave and ivory traders were active in corrupting local chiefs to supply them with slaves and ivory. His vast empire eventually disintegrated in the latter half of the 19th century. Another nation formed by groups that moved north away from Zululand was the Swazi nation, under Chief Sobhusa. In later years the Kingdom was expanded through the conquest of surrounding people. 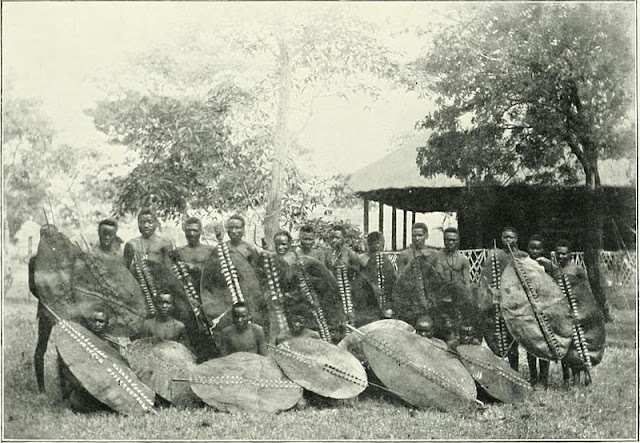 It eventually became the independent country of Swaziland, during the reign of any monarch in recorded history. The most famous clan to flee the Zulus was the Khumalo, led by the ambitious and restless Mzilikazi, that was to make a dramic impact in the interior that was occupied by the other offshoot of the Nguni's, the Sotho-Tswana. He had helped Shaka come to power by murdering his father, but later clashed with Shaka. Rather than confronting him in battle, Mzilikazi led his people over the Drakensberg into the interior of South Africa in what became known as the Path of Blood, or Great Road. He adopted the same brutal tactics as Shaka as he cut a swathe of destruction, genocide and conquest through the Sotho-Tswana villages in his path. He was known to cut off the ears of the people he conquered so that he could recognise traitors. In the harsher, drier winter climate of the interior, food was short supply and Sotho-Tswana not only fend off Mzilikazi but they also turned on each other in search of cattle, food and territory. The legendary Queen Mantitisi of the Wild Cat People led one of the most ferocious clans and another group sought refuge in the Maloti Mountains and eventually resorted to cannibalism. From what became a wastland, some clans fled into the Maolty Mountains of the Drakensberg and used the tactic of rolling boulders down the mountain to deter Mzilikazi's army. They survived by taking in refugees from other Sotho-Tswana groups and became the nation of the Basoto under the highly respected Moshoeshoe dynasty and would eventually be declared the independent monarchy of Lesoto by Queen Victoria. Another Soth-Tswana clan staked out an area that under British protection became the independent country of Botswana. Mzilikazi conquered the Bakwena, who occupied the area in what is now Pretoria and Johannesburg, and incorporated them into his nation that become known as Ndebele. He did not have much time to savuar his conquest because he then encountered the Boers, who had moved into the almost deserted territory- but more about that later. 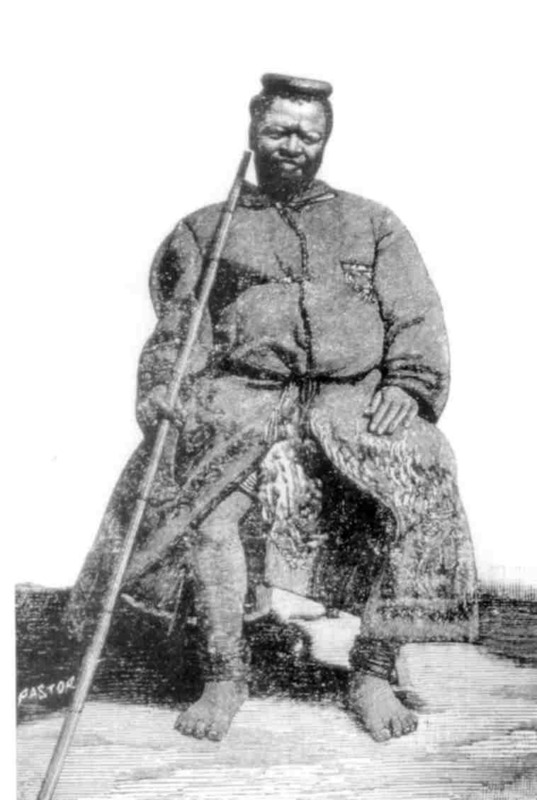 Mzilikazi would eventually be defeated by Boers and would move further north to complete his remarkable migration from the eastern shores to his final destination of what is known as Matebeleland near Bulawayo in Zimbabwe. He has gone down as a great "big Man" of Africa who created and ruled over a "nation", the Ndebelle (also Know as the Matabele), in much the same way as Shaka created and ruled the Zulu Kingdom. David Livingstone described him as one of the most impressive leaders he had met in his travels through Africa. The Mfecane had changed the human landscape of South Africa dramatically. It sprawned what are now the independent countries of Lesoto, Botswana and Swaziland. Instead of small groups scattered across the interior and eastern coastal parts of the country, they were now organized into much larger, stronger and stractured nations or kingdoms by the mid of 19th century. Into this mix entered the Boyers and British colonialists and more conflict was to take place in modern South Africa. Поскольку армия Зулусов контролировала восточные районы страны, люди рассеивались во всех направлениях вместе с армией в погоне за добычей, следовательно, еще одним термином характерным для времени Мфекана было «Рассеяние». Остатки некогда доминирующего клана Нгуни, Ndwandwe, побежденного Шакой, бежали на север. Их устрашающий лидер Шошангане создал огромное королевство Нгуни-Газа, которым он правил в течение 37 лет, в котором торговцы рабами и слоновой костью активно развращали местных вождей, чтобы захватывать рабов и слоновую кость. Его обширная империя в конце концов распалась во второй половине XIX века. Еще одна нация, образованная из групп, которые отошли на север от Зулуланда, была нация Свази под начальством Собхуса. В последующие годы Королевство расширялось за счет завоевания территорий местных племен. Это в конечном счете, превратилось в независимую страну Свазиленд. Самый знаменитый клан, бежавший от Зулусов, был Хумало во главе с амбициозным и беспокойным Мзиликази, который нанес драматический удар, который был занят другим ответвлением Нгуни, Сото-Тсвана. Он помог Шаке прийти к власти, убив его отца, но позже сам столкнулся с Шакой. Вместо того, чтобы противостоять ему в битве, Мзиликази отвел свой народ через Дракенсберг во внутренние районы Южной Африки по так называемому Пути Крови или Великой Дороге. Он предпринял ту же жестокую тактику, что и Шака, совершая разрушения, геноцид и завоевания сел Сото-Тсвана на его пути. Он, как известно, отрезал уши людей, которых он завоевал, для того чтобы он мог узнавать предателей. В более суровом, сухом зимнем климате не хватало пропитания и народ Сото-Тсвана не только отбивалась от Мзиликази, но и обращался друг к другу в поисках скота, еды и территории. Легендарная королева Мантисити из Wild Cat People возглавила один из самых свирепых кланов, другая группа искала убежища в горах Малоти и в конечном итоге прибегла к людоедству. Из того, что стало устьем, некоторые кланы бежали в горы Маолты из Драконовых островов и использовали тактику катящихся валунов с горы, чтобы удержать армию Мзиликаки. Они выжили, захватив беженцев из других групп Сото-Тсвана и стали нацией Башото под весьма уважаемой династией Мошоэшу и в конечном счете были объявлены королевой Викторией независимой монархией Лесото . Другой клан Сот-Тсвана застолбил область, которая под британской защитой стала независимой страной Ботсваны. Mzilikazi завоевал Bakwena, который занял область которая сейчас является теперь Преторией и Йоханнесбургом и включил их в его нацию, которая стала известной как Ndebele. У него не было много времени, чтобы спасти его завоевание, потому что он столкнулся с бурами, которые перебрались в почти пустынную территорию, но об этом позже. Mzilikazi в конечном счете будет побежден Boers и будет двигаться дальше на север, чтобы завершить его замечательную миграцию от восточных берегов до его конечного пункта назначения, известного как Matebeleland вблизи Булавайо в Зимбабве. Он стал «великим человеком» Африки, который создал и правит «нацией» Ндебелле (также Матабеле»), во многом таким же образом, как Шака создал и управлял королевством Зулу. Дэвид Ливингстон описал его как одного из самых впечатляющих лидеров, которых он встретил в своих путешествиях по Африке. Mfecane резко изменило человеческий ландшафт Южной Африки. Это привело к образованию независимых стран Лесото, Ботсваны и Свазиленда. Вместо небольших групп, рассеянных по внутренним и восточным прибрежным частям страны, к середине 19-го века они были теперь объединены в гораздо более крупные, более сильные и распадавшиеся нации или королевства. В эту смесь и пришли бойцы и британские колонизаторы и еще больше конфликтов должно было произойти в современной Южной Африке. 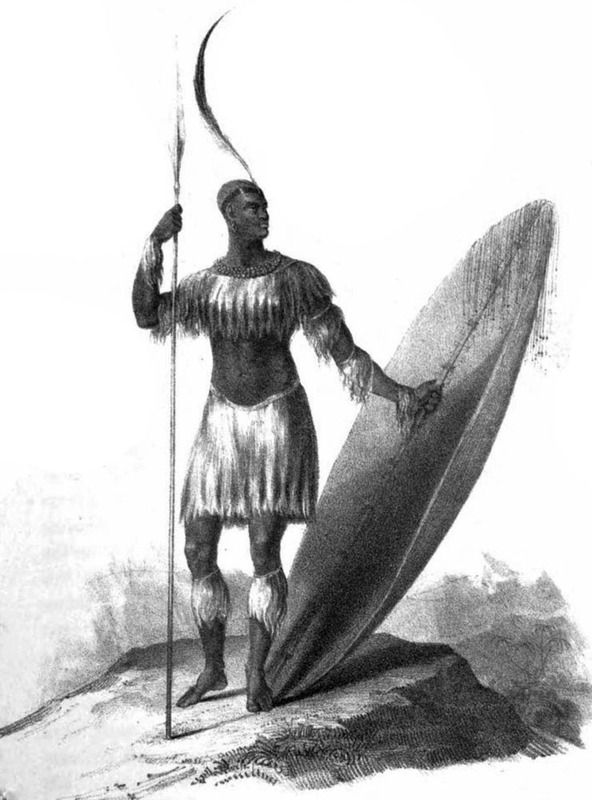 The Mfecane: 1815-1840. By Poul Harris. History of SA. 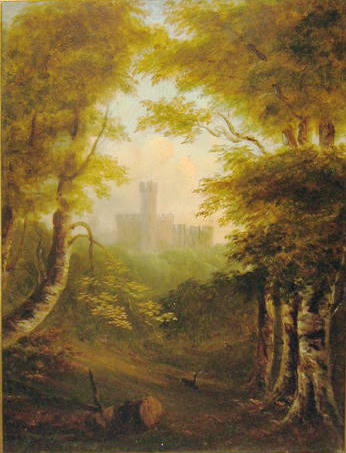 The turn of the 19th century was characterised by plunder nad conquest throught the world, as was decribed earlier. It was the time of the Napoleonic Wars, involving the whole of Europe and Russia. In South Africa the status quo no different, as black and white people fought one another for their 'place in the sun'. In addition, slave traders trawled through Africa hunting for people to ship to faraway places as slaves. Ruthless and brutal, they corrupted local tribesmen to turn on their own people. The slave trade added to an already terrifying environment that led to widespread chaos, warfare and genocide among indigenous ethnic communities between 1815 and 1840. The estimated death toll was in excess of one million people in this sparsely populated country. This period of conflict and upheaval became known as the 'Mfecane', meaning 'the scattering'. It was the period that totally transformed South Africa. Until then, troughout South Africa, people still lived in small independent groups of extended families or cheeftains with a loose affiliation with one another by sharing the same language and culture. For example, before the Mfecane there wasn't united Zulu nation but rather a number of the smaller clans, like the Mthethwa, Ndwandwe, Dlamini, Hlubi, Ngwane and Khumalo clans, each with a chiff. Similarly, in the interior there were a number of smaller clans, like the Baroleng, Bakwena, Fokeng, Pedi, Kgatla, Po, Kwena, Bafokeng and Ndebele. These clans were in almost constant conflict with each other and some historians idenified some 26 civil wars at this time. In the Mfecane, group was amalgamated into much bigger kingdoms or nations to protect and strengthen thenselves. It is the period that saw the birth of the Zulu, Khosa, Swazi, Matebele or Ndebele, Basuto, Gaza and Soto-Tswana nations or kingdoms. The most dominant figure of Mfecane was a legendary king and mighty warror, Shaka Zulu. He grew up to lead a small clan of about 1,500 people that conquered his neighbours and incorporated them into his Mthethwa clan. He killed their leaders and anyone who opposite him, took over their women, children and cattle, and drafted their young men into what became the most disciplined and feared army in Africa. He led by example in battle and redefined military tactics of the day, adopting the famous 'horns of buffalo' strategy in battle. The boss of the buffalo represented the main force, and the horns represented the advancing parties that encircled the enemy once the main force had strack. Shaca also dispensed with the traditional long assegai used by other warriors, which was thrown like a javelin but easily defended by an ox-hide shield, in favour of a short, stabbing spear effective in hand-to-hand combat. His clan evolved into the biggest and most dominant of all the Zulu speaking groups, becoming the mighty Zulu Kingdom in 1816 with Shaka as a king. Four years later, his unpredictable brother, Dingaan, murdered him and became the second King of the Zulus. The Zulu monarchy still exist today, and Zululand remains the ancestral home of Zulu. Рубеж 19-го века было охарактеризован завоеванием мира, как было описано ранее. Это было время наполеоновских войн с участием всей Европы и России. В Южной Африке статус-кво ничем не отличается, поскольку чернокожие и белые люди боролись друг с другом за свое «место на солнцем». Кроме того, торговцы-работорговцы пробирались через Африку, охотясь за людьми, отправляя их затем в отдаленные места в качестве рабов. Безжалостные и жестокие, они коррумпировали местных соплеменников, чтобы они повернули свой народ. Рабская торговля добавила проблем к уже сложившейся среде, которая привела к широкомасштабному хаосу, войне и геноциду среди коренных этнических общин в период между 1815 и 1840 годами. Предполагаемая численность погибших в этой малонаселенной стране превышала один миллион человек. Этот период конфликта и потрясений стал известен как «Mfecane», что означает «рассеяние». Это был период, который полностью преобразил Южную Африку. До тех пор, по всей Южной Африке, люди по-прежнему жили в небольших независимых группах из расширенных семей или деревнях ведомых вождем, где они свободно общались друг с другом, обмениваясь одним языком и культурой. Например, до Mfecane существовала не единая нация зулусов, а скорее несколько меньших кланов, таких как кланы Меттва, Ндвандве, Дламини, Хлуби, Нгване и Хумало, каждый с чифом. Также, в окресностях было несколько небольших кланов, таких как Бароленг, Баквена, Фокенг, Педи, Кгатла, По, Квена, Бафокенг и Ндебеле. Эти кланы находились в почти постоянном конфликте друг с другом и некоторые историки идентифицировали около 26 гражданских войн в это время. Во время Mfecane, группы стали объединяться в намного большие королевства или нации, чтобы защитить и укрепить себя. Именно в этот период родились народы или королевства Цзулу, Кхоса, Свази, Маттебеле или Ндебеле, Басуто, Газа и Сото-Тсвана. Наиболее доминирующей фигурой периода Mfecane был легендарный король и могучий воин, Шака Зулу. Он вырос, чтобы возглавить небольшой клан, состоящий из 1500 человек, затем завоевал своих соседей и включил их в свой клан Меттва. Он убил вождей и всех, кто шел против него, захватил их женщин, детей и скот, и призвал своих юношей в то, что стало самой дисциплинированной и опасной армией в Африке. Он привел пример в битве и пересмотрел военную тактику того дня, приняв в битве стратегию знаменитых «рогов буйволов». Главным героем был босс буйвола, а рога представляли набегающие стороны, которые окружили врага, как только у главных сил была остановка. Шака также отказался от традиционного длинного ассегая, используемого другими воинами, который был брошен как копье, но легко защищался щитом воловьей кожи, в пользу короткого колющего копья, эффективного в рукопашном бою. Его клан превратился в самую большую и самую доминирующую из всех зулусских языковых групп, став могущественным королевством Зулу в 1816 году с Шакой в качестве короля. Четыре года спустя его непредсказуемый брат, Динган, убил его и стал вторым королем зулусов. Зулусская монархия все еще существует и сегодня и Зулуланд остается прародиной зулусов. This article written by Poul Harris. 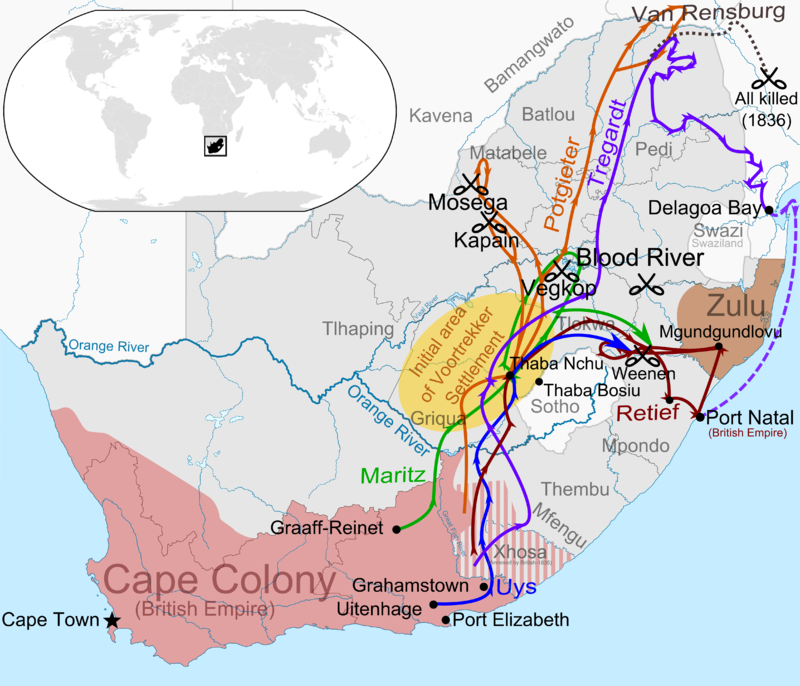 The first recorded evidence of Europeans in SA was crew from ships sailing past the Cape en route to lucrative markets in the East in the 15th and 16th centuries. The first person to round the Cape was Bartholomeu Dias in 1487. Soon after, in 1492, Christopher Columbus would discover America for Europeans. The portuguese explorer Vasco da Gama went ashore at Cape Town in 1506 and killed a number of Khoi-Khoi. 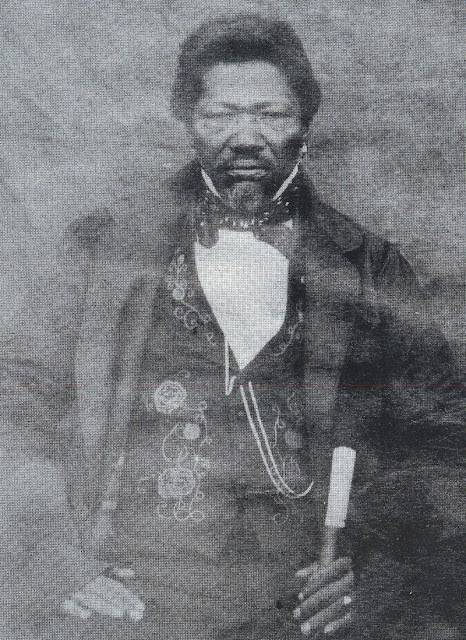 Little wonder that four years a sailor by name De Almeida went ashore and had a dispute with the Khoi-Khoi. He came off second best as they slaughtered his entire party of 56. Legend has it that the Khoi-Khoi caused a stampede of their cattle and cornered De Almeida's party in this way. Not surprisingly, landing at Cape Town was discoraged and it would be some 146 years before Europeans settled in Cape. Some ships were shipwrecked in this times and some of the sailors managed to reach the shore. When rescued months, or even years later, many decided to stay. Who could blame them! "It was green in this hemisphere, south of the Equator and at dusk when the sun and cattle walked home you could hear the call of the woman across the hills "Halala, Halala, we are Africa forever". Then the ships arrived from the West, white sails across the sea to ask for food and water, but to stay so much more. These words reffer to the first European settlers to arrive in the Cape in 1652 that changed South Africa forever. They were Dutch employees of the Dutch East India Company (VOC), under Jan Van Reebeeck, tasked with settling up a refreshment station for ships rounding the Cape en route to the East. The locals dubbed them "umlungu", which was their word to describe the foam on the tips of ocean waves, name for white people that still used today. Van Reebeck did not like the Cape and was dissapointed when his term extended to 10 years, but he was replased by Simon Van Der Stel who loved the Cape and stayed. They built forts, planted crops and started to trade with the Khoi-Khoi, who supplied them with food and cattle. Simon Van Der Stel, Although not apparently averse to the odd backhander, is credited with establishing the wine industry, beautiful homesteads, like Groot Constantia, and named the town Stellenbosch after himself. However, the turbulent and brutal process of colonisation and dispossession of the indigenous people began as they stay started to impose their ways on the San and Khoi-Khoi. Their language has all but dissapeared and only a handful who have not integrated into melting pot of morden South Africa, remain today. Эта статья написана Полом Харрисом. Первыми письменными свидетельствами европейцев в Южной Африке были записки с судовых журналах кораблей, проплывающих мимо мыса по дороге к прибыльным рынкам на Востоке в 15 и 16 веках. Первым человеком, который обогнул мыс, был Бартоломео Диас в 1487 году. Вскоре после этого, в 1492 году, Христофор Колумб открыл Америку для европейцев. Португальский исследователь Васко да Гама сошел на берег в Кейптауне в 1506 году и убил нескольких людей из племени Кхои-Кхои. Неудивительно, что через четыре года моряк по имени Де Алмейда вышел на берег и вступил в спор с местными жителями. Ему пришлось уступить, поскольку они убили весь его отряд из 56 человек. Легенда гласит, что Кхои-Кхои направили свой скот на пришельцев и таким образом загнали в угол отряд де Алмейды. Неудивительно, что поселение на Кейпе не состоялось и прошло еще примерно 146 лет до того, как европейцы обосновались на мысе. В это время некоторые корабли потерпели кораблекрушение и некоторым морякам удалось добраться до берега. Когда они спаслись им пришлось провести месяцы или даже годы и многие из них решили остаться. Кто бы мог их осуждать! «В этом полушарии к югу от экватора было зелено и в сумерках, когда садилось солнце и скот мы шли домой и могли услышать зов женщины через холмы «Халала, Халала, мы здесь навсегда. Затем корабли прибыли с Запада, белые паруса пересекли море, чтобы попросить еду и воду, но решили вообще остаться здесь." Эти слова относятся к первым европейским поселенцам, прибывшим на мыс в 1652 году, которые навсегда изменили Южную Африку. Они были сотрудниками голландской Ост-Индской компании (VOC) под руководством Яна ван Рибека, которому поручено решить вопрос о создания стации для пополнения запасов воды и еды для судов, следующих вокруг мыса по дороге на восток. Местные жители окрестили их «умлунгу», что было их словом, означающим пену на кончиках океанских волн, это название для белых людей еще используются и сегодня. Ван Рибек не любил мыс и был разочарован, когда его срок продлился до 10 лет, но по окончанию срока он был заменен Симоном Ван Дер Стелом, который любил Кейп и остался до конца своих дней. Они строили форты, сажали культуры и начали торговать с местными племенами, которые снабжали их продовольствием и крупным рогатым скотом. Симону Ван Дер Стелу приписывают создание винодельческой промышленности, прекрасные усадьбы, такие как Грот Констанция и он так же назвал город Стелленбош своим именем. Тем не менее, бурный и жестокий процесс колонизации и лишения коренных народов их прав начался, когда переселенцы начали навязывать свои жизненные устои местным племенам Сан и Кхои-Кхои. Их язык практически исчез и осталась только горстка людей, которые не интегрировались в плавильный котел современного-южно-африканского континента.